Here’s a brief round-up of Croatia today – the currently political state of affairs in the country, who its leaders are, and its standing on the global stage. 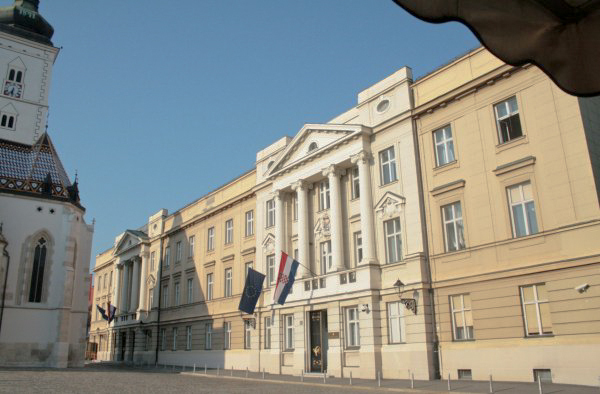 The country is a parliamentary democracy, with the parliament (sabor) in Croatia’s capital city, Zagreb (of course). The last general elections were held in September 2016 (having previously only been held in November 2015 – then resulting in a hung parliament) after a motion of no confidence in June 2016 against then Prime Minister Tihomir Oreskovic, a Croatian-Canadian businessman. Once again, no one party won a majority so a coalition was once again formed made up of the Croatian Democratic Union (HDZ) – who have governed Croatia for much of its history since independence – along with The Bridge of Independent Lists (MOST) and some other small minority parties. Andrej Plenkovic, leader of HDZ, became Prime Minister on 19th October 2016. Presidential elections were last held in December 2014 and January 2015. As in the previous set of presidential elections in 2009/10, no one candidate managed to obtain more than 50% of the vote in the first round. The top two candidates – incumbent Ivo Josipovic (backed by the Social Democratic Party) and Kolinda Grabar-Kitarovic (HDZ) went through to a second round that took place on 11th January 2015. Ms Grabar-Kitarovic came away as the winner in a very close election; she received 50.74% of the vote compared to 49.26% for Mr Josipovic. Ms Grabar-Kitarovic therefore became the fourth – and first female – President of Croatia. You can read more in this BBC News article: Grabar-Kitarovic elected Croatia’s first woman president (12th January 2015). The country received an invitation to join NATO in 2008, and officially became a member on 1st April 2009. We are pleased to say that Croatia is finally part of the European Union! Croatian joined the EU on 1st July 2013 after a rather lengthy entry negotiation process – the country officially applied to be part of the EU in 2003. If you’d like to read more about the official initial stages of Croatia joining the EU (President Ivo Josipovic and outgoing Prime Minister Jadranka Kosor signed Croatia’s accession treaty to the EU on 9th December 2011), you can read about it in this BBC News article: Croatia signs treaty to join EU in middle of 2013 or from Bloomberg: Croatia Signs Up to Become EU’s 28th Member. You may also be interested in an article from earlier in 2011, when the European Commission officially recommended to the EU that they should accept Croatia: Croatia cleared for EU membership in 2013.